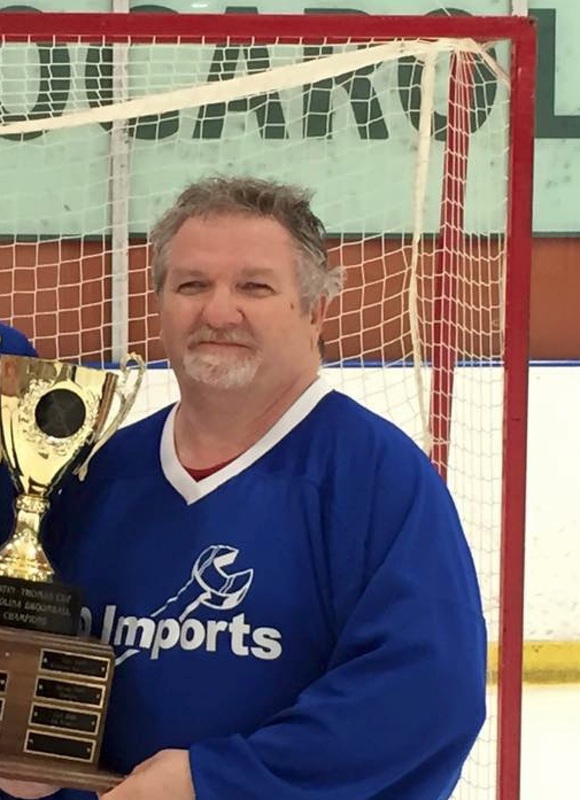 After 20 years of watching my husband play broomball in Minnesota, I now play broomball with him here in Charlotte. Broomball is friends, fun and exercise. No matter if it is win, lose or draw in the end the beer is always cold. When I first came to Charlotte I couldn’t find a hockey outlet. I decided to try Broomball, because I needed an outlet for my competitive spirit. I played one pick up game and was hooked. I love this game. I’d rather be watching broomball. Broomball is by far the most fun sport in the world, with just the right blend of competition, teamwork, fun and exercise. Where else can you battle head to head one minute, and share some wings and a beer the next. It’s the people that make it fun for sure. 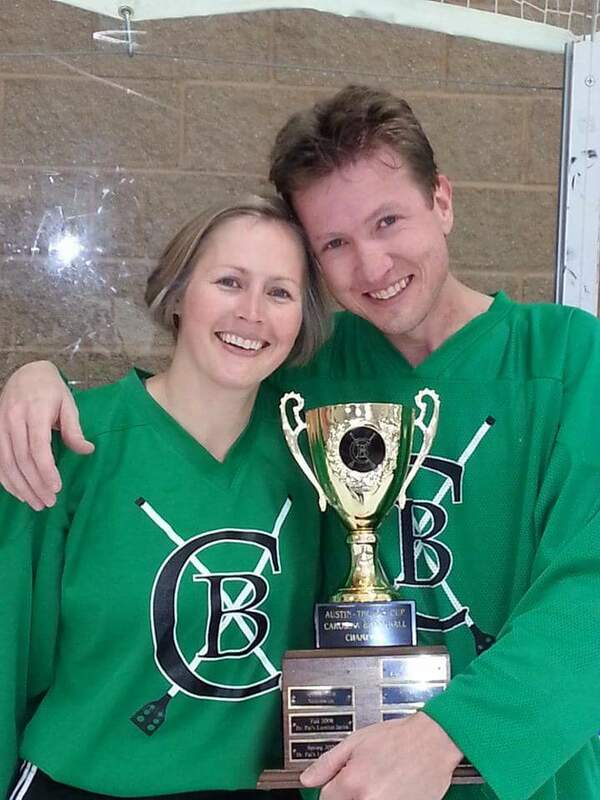 The definition of Broomball: The hour and a half I get a week, in which nothing else matters…..and beer. 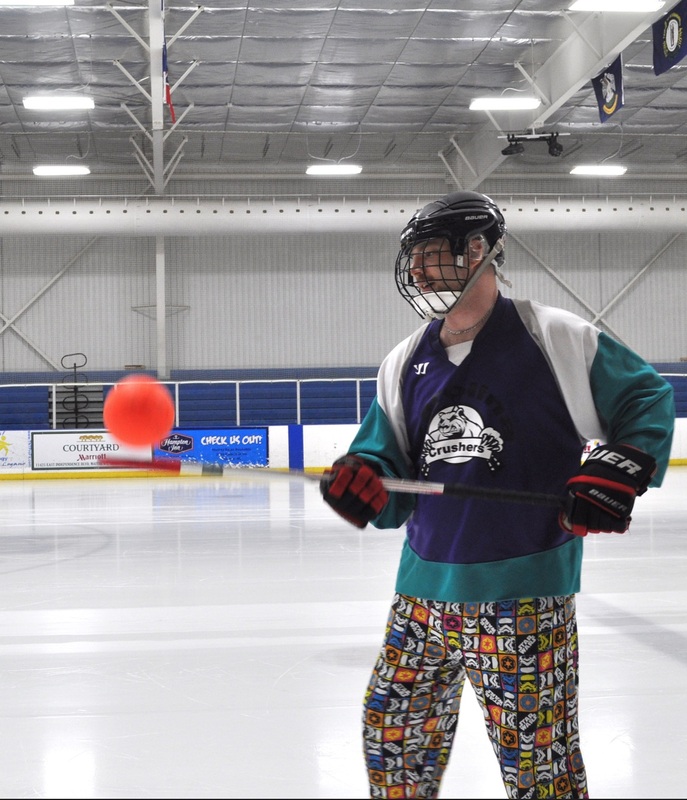 Broomball is a fun team sport, and a good way to loose weight.